Follow this link to sign up for a season pass using our secure payment server, powered by Stripe Checkout. We’d love for all of you to attend as many dances as possible. A full dance hall is great for everyone — the band, the caller, experienced dancers, and brand-new beginners all benefit from a bunch of nice long lines full of people like you. 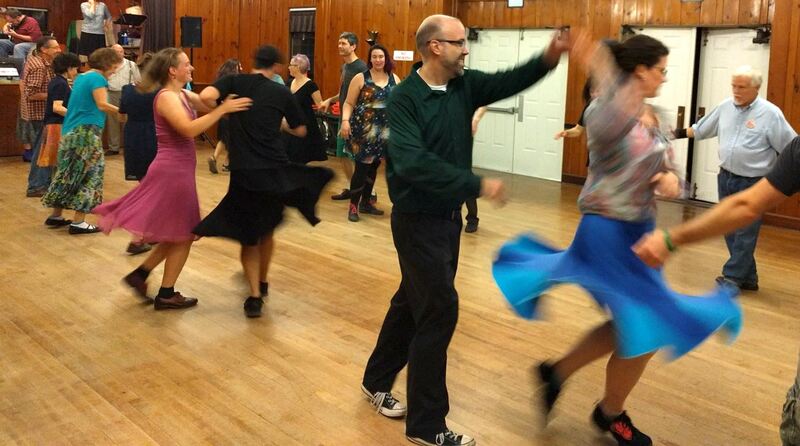 With that in mind, we are delighted to offer the Pittsburgh Contra Dance Season Pass. Spring 2019 Season Passes are available for $140. This is a big discount for 21 dances , a dance almost every week for January through May. With your pass, you’ll also receive two guest tickets (to help you spread the joy of contra), and a personalized “Seasoned Dancer” button. 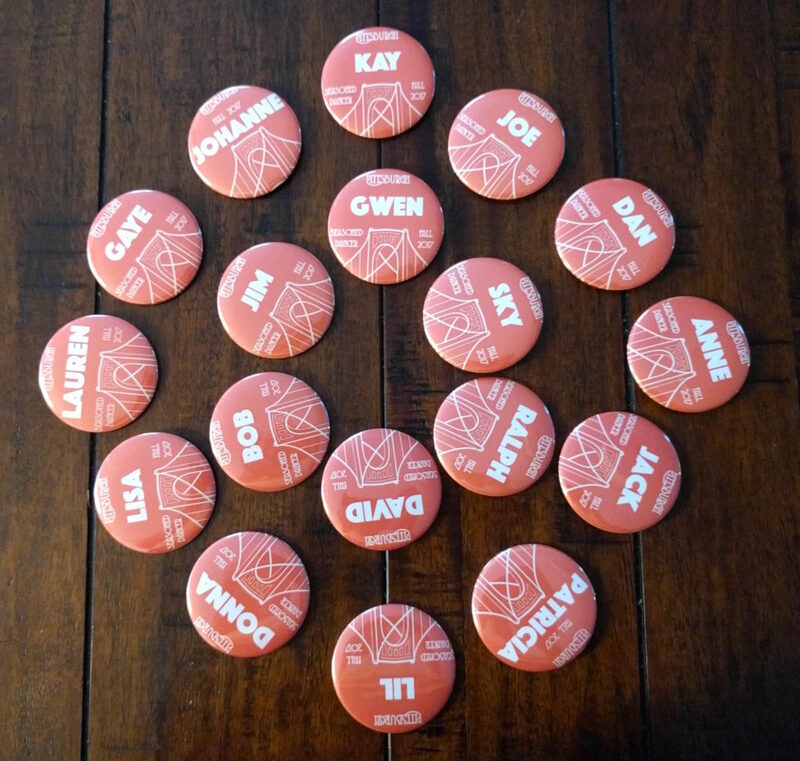 Once you’ve bought your season pass, we’ll make a special “Seasoned Dancer” button, just for you, with your name and pronouns (or just your name, if you so wish). You can pick it up, along with two guest tickets, at a contra dance in the fall. While your button serves as a convenient badge of membership, it’s not required — we’ll have a list at the front desk to make sure season pass holders always have access. Each guest ticket is a single-use pass, good for one dancer’s free entry to a weekly contra dance. We hope you use it to introduce new folks to the Pittsburgh contra dance community, but that’s up to you! The season pass includes all regular weekly contra dances — the Pittsburgh Fall Dance Weekend is not included.